There has been a large assault on oil over the last decade with a shift by the industry to more healthful oil such as, Soy, Canola, and Olive. It is generally accepted by well run dining operations that these are three best and here at Rice we only use the three. 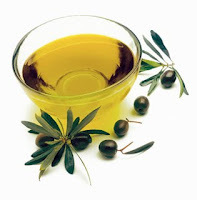 Soy oil is used for frying; canola oil is used for salad dressing, and olive oil for pastas. What has been used less or eliminated is the use of traditional vegetable oils and those with trans-fat. That’s a good thing. Or is it? Certainly the trans-fat free oils that have been eliminated are a good thing, but it is still necessary for some oil consumption in a healthy diet. A recent study about Omega-6 oils shows that without it, higher rates of ulcerative dermatitis may occur. The body does not produce Omega-6 so it is necessary to obtain it through the diet. Vegetable oils are a good source. This of course correlates to the studies about Omega-3 oils generally found in fish which is one reason that seafood has been served at a higher rate in our operation here at Rice over the last several years. Omega-3 has also showed up in vitamins and even pre-natal vitamins with a theory that brain development in infants is increased. Please use sustainable seafood if you please!